Day to day, stress fills us with so much tension and anxiety that it is often difficult to even enjoy the little things that used to make us happy. It compromises our immune system, stunts cognitive and emotional development, and raises blood pressure. Toxic stress also can fuel a challenging range of disorders: eating, drinking, sleeping, obsessive-compulsive, bipolar, and more. It speeds the aging process and shortens the life span. The practice of Transcendental Meditation (TM) is a simple, effortless technique that anyone can learn and enjoy. It allows the active-thinking mind to settle down to its own state of inner stillness at the deepest level of awareness, one that goes beyond all thoughts and feelings. It is your own quiet inner self, before you start thinking, creating, planning, making lists, deciding, worrying and celebrating. It’s always been there, within you. It just gets lost or overshadowed easily by the constant noise and distractions. When you learn the TM technique, you’re learning an ancient process of “effortless transcending” that had been long lost to society—even in India, the land of its origin. The technique was revived by Maharishi Mahesh Yogi, who introduced it to the world and provided professional training and certification to thousands of teachers, so that people everywhere could benefit from the technique’s ease of practice and profound effectiveness. Fifty years ago, spiritual leader Maharishi Mahesh introduced the practice to the rest of the world, founding the Transcendental Meditation Program. His success as a meditation teacher is unprecedented. Never before in recorded history, even as far back as the flowering of Zen throughout Asia, has a meditation technique been learned by so many people during the teacher’s lifetime—and with such demonstrable results. At our full board TM Retreat, you will take home a skill which will enhance your life more and more as the years go by. Through deep rest at Villa Gaia, daily practices with our accredited teacher I Wayan Sutrisna (see bio below), invigorating yoga, 20 minutes personal private meditation time prior to breakfast and post TM session in the evening, holistic treatments and tailored excursions, full board nourishing wholesome healthy meals, our signature retreat will offer a profound stress release, and empower you with the skills to apply TM to your daily life. On your first session, you will be given a personal mantra (sound) in the same way as it has been passed down for thousands of years in the yoga tradition. This starts with a short ceremony chanted in Sanskrit, the language of yoga, in gratitude (not worship as in religion) from our teacher, which you just watch. This settles the atmosphere and allows the mantra to be passed on the right way to ensure effectiveness of teaching. 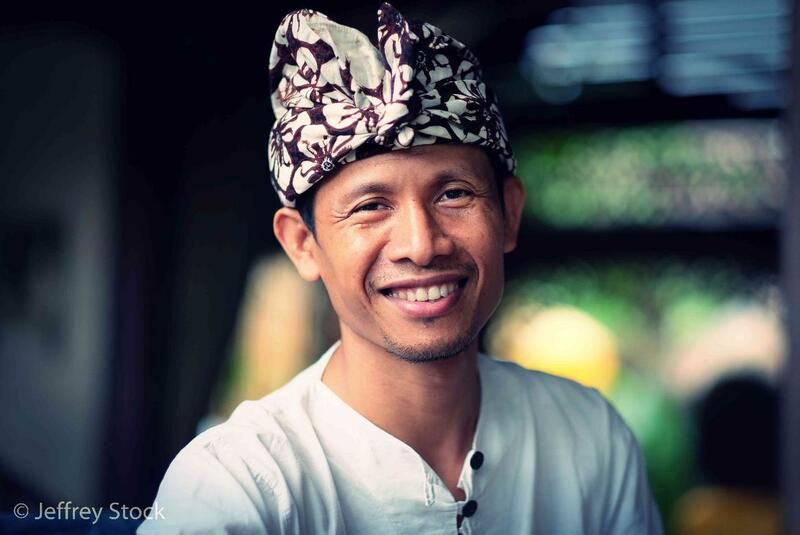 After some time meditating under the instruction of Wayan, you will be given the experience of meditating on your own for a short time to build your confidence, and the session ends with further one to one discussion with Wayan. You walk away in the afterglow of your first “real” meditation, deeply relaxed and calm. You will also learn practical details such as how to begin and end meditation, when and where to do it, when you can do extra and how to deal with daily challenges, noises or obligations The process that TM stimulates is natural and will always work for everyone. Your brain will have greater access to its creative energy while helping reduce the effects of stress, trauma, high blood pressure & diabetes. The daily practice delivers a wide range of practical benefits. It uses your total brain, prevents and reverses heart disease, promotes health and youthfulness, encourages happiness, inner peace, ignites your creativity and teaches you how to balance work and life. During TM the mind settles to its most silent state of expanded awareness. This experience changes your nervous system measurably. It enlivens the whole brain, promoting clear and orderly thinking. When the mind settles down the body follows. During TM you gain deep rest, twice as deep as sleep to dissolve stress, fatigue and chemical imbalances. The mind is quieter, has less worries and anxieties. Sleep is better, our decisions, desires and emotions more balanced, relationships improve and we do less and accomplish more. The morning self-practice application and integration sessions wakes up your brain and gives you energy and resilience so that the demands and challenges of the day don’t stress you out. Then you meditate once again, ideally in the late afternoon after your 4pm TM Session or early evening before dinner, to start the next part of your day fresh. "The goal of the Transcendental Meditation technique is the state of enlightenment. This means we experience that inner calmness, that quiet state of least excitation, even when we are dynamically busy". In 1973 Wayan Sutrisna was born in Bali, Indonesia and follows all the Balinese culture and traditional ceremony practices. Wayan is presently 43 years old and his passions are his family and teaching higher levels of Consciousness through Transcendental Meditation (TM). Wayan started his career in business and worked his way up the ladder of success and finally became an International Sales and Marketing Director for a very famous Jewelry company in Bali. In 2002 he started his Transcendental Meditation (TM) practice and never missed his program twice a day as instructed by his TM Teacher Alan Florence, of Australia. He showed great promise and his interest and knowledge in the Vedic Arts and Sciences grew. In 2005 he took the Science of Creative Intelligent Course and became an English Indonesian translator for other members of the class. In 2006 Wayan joined the International Teacher Training Course (TTC) at Maharishi Campus in Thailand for 5.5 months. He studied for 8 hours a day with very little breaks in this intense immersion in the meditation practices of Maharishi Mahesh Yogi. Wayan received an honor in the form of a scholarship to join the Next Generation Course with Maharaja Adiraj Raja Raam on September 2014 at Maharishi Vedic City, Fairfile, Iowa, USA. He was gifted with a round trip flight, full room and board and a scholarship to study Maharaja speeches about higher state of Consciousness, Unity Consciousness and higher meditation practices. Once finishing his training, Wayan kept on teaching to students in the evenings after his workday was over. Wayan has taught hundreds of students at high school and university levels to raise the collective consciousness and help Bali and the rest of the world become an invincible problem free society. 10:15 Free Time - Swim, Read, Trip to visit Ubud town, half day trip to Tirta Empul Holy Water Spring Cleanse. 18:30 Dinner, rest, read, relax. IF YOU ARE BOOKING YOUR RETREAT WITHIN 6 MONTHS OF ARRIVAL TO BALI, FULL PAYMENT IS REQUIRED. PAYMENT IS MADE VIA ONLINE BANK TRANSFER ONLY. PLEASE CLICK - HERE - TO READ THE FULL TERMS & CONDITIONS POLICY WHICH COME TO EFFECT UPON BOOKING. AN AMOUNT OF 40 USD FOR BANK WIRE TRANSFER TO COVER SENDER FEES - PER TRANSFER APPLIES. INVOICE ISSUED IS VALID FOR 3 DAYS FROM DATE OF BOOKING. ANY MISSING AMOUNT WILL BE HIGHLIGHTED ON YOUR RECEIPT TO SETTLE UPON CHECK IN. 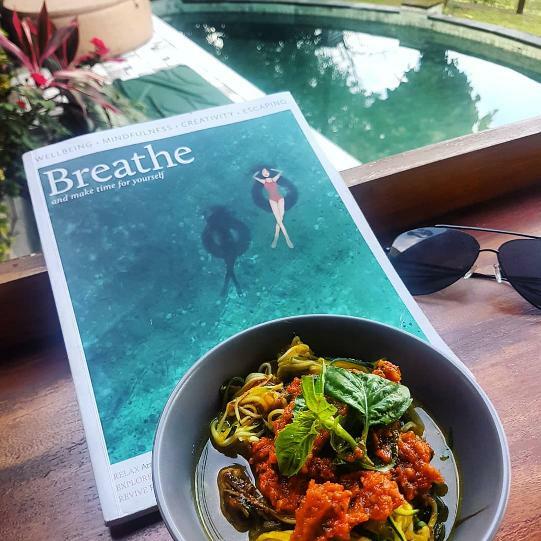 "THIS IS ONE OF THE MORE INTIMATE ARTICLES I HAVE WRITTEN... MY DIARY ACROSS FIVE DAYS TM RETREAT AT GAIA RETREAT CENTER IN UBUD. WITH SOME PRETTY INTENSE & UNUSUAL EXPERIENCES ALONG THE WAY "